It’s been a busy sort of week at the homefront, but we’ve got some exciting articles in the hopper for next week. In the meantime, to slake the omniscient society-hurdling thirst percolating in your word-hungry oppressed and power-lusting eyes (ed note: I’ve been taking writing lessons from Mr. Sean Penn! ), here are some quick hits and good reads. The White Sox, now projected to be among the teams with a 162-0 record, are also on pace to hit over 900 home runs this year, a new MLB high mark! In a year that’s between rebuilding and contending, that was a fun start. 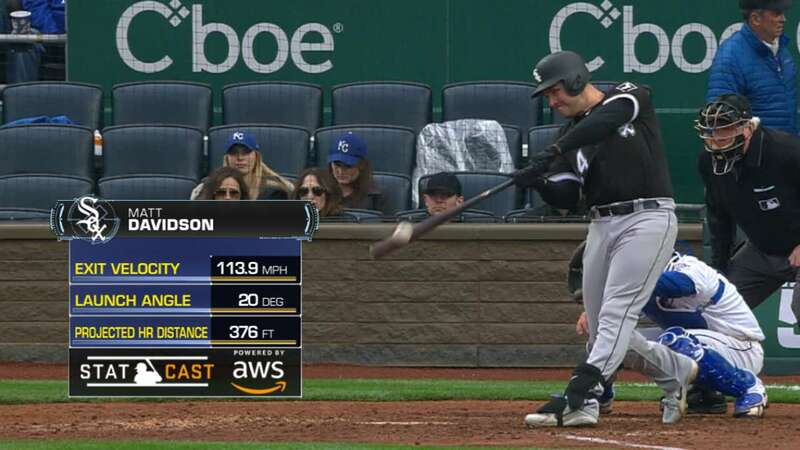 Matt Davidson has been the forgotten man, going from a top prospect to bust to a steady player. I don’t really expect him to hit three dingers every game (which I think is generous and understanding of me), but he has undeniable raw power, and could become a genuine steadying surprise. As it is, this is the weirdest and worst off day in baseball history. Sticking with baseball for one more second, read David Roth’s little piece on Rickey Henderson the Involved Landlord. He’s exactly how you’d expect Rickey to be, sweeping the floors with his own nutball perfectionism, even explaining, in the traditional third person, that ‘Rickey needs Rickey’s houses to be clean!” It’s a bit of fluff, but a fun brief look at one of the 10 greatest, and probably 10 weirdest, baseballers of all time. And while you’re at it, take a look at Rickey’s stats. Did you know he led the league in stolen bases in 1998, 18 years after the first time he did? That’s nuts. Granted, 66 wasn’t super high for him, but it still would have led the league last year. Actually, it’s only been surpassed 5 times in the last two decades. That’s partly because we’ve gotten smarter about the risk/reward of a stolen base, but to reiterate my earlier point: that’s nuts. All right, slightly more serious: read Peter Salisbury’s latest in-depth report on Yemen for Chatham House, this time on the Southern Question. I don’t think there is any question that the south is key to all of Yemen, and it is being largely ignored in the Saudi/Houthi/US/GCC/Qaeda-ISIS mix. But the Southern Question is really asking “what is Yemen“, and the answer doesn’t seem to be reflected in anyone’s policy. This piece is comprehensive and important, and you should read it all. As a side note, Salisbury’s piece and a maybe-poorly-worded tweet by me spurred a bunch of private conversations, some angry but mostly civil, with southern Yemenis. I’m working on a long piece about the Southern Question that was born of those conversations, and obviously influenced by Salisbury’s great paper. Alana Semuels has a harrowing piece on poverty and segregation in Chicago, making the what-should-be-obvious-point, often completely ignored in our politics and punditry, that “people at the bottom are struggling as much as they always have, if not more—illustrating that it’s not just the white rural poor who are being left behind in today’s economy.” Chicago is vibrant and wealthy and beautiful, filled with fit and educated people biking along luxurious lakefront trails and eating at incredible restaurants, and it is a scuffling dangerous and violent city, where life can be snuffed out in a flash of an instant, the police are another gang, and opportunity is denied by dint of education, by the misery of geography, and by the willful neglect of history. Something as simple as a rail line means the difference between getting a job and staying poor. These two cities rarely intersect. This was illustrated to me at the March for Our Lives on Chicago’s near west side last week. The rally was held in Union Square, now at the far end of one of the hottest restuarant-and-condo districts in the city, which until recently was a meat-packing district. Beyond it a few blocks, the city becomes the “other city”. The rally was filled with the Good Sign Crowd, as boisterous as we were at the women’s marches. But the students, who live in the forgotten Chicago, weren’t interested in the NRA or in Trump or even, really, in Parkland. They reminded us, without pulling any punches, that they were afraid for their lives every day, and that a vast system, in which the petty bloodmanship of the NRA only played a part, kept them oppressed and poor. Those were the two cities colliding; then half of us walked back east, back toward downtown, back toward the gleaming skyscrapers and cool brunch places and open suburbs. The other went back to their lives. Unrelatedly, 2040 from 2018 is equidistant as 2018 is from 1996. But of course, things don’t just get bad the year of projections. It’s steadily worse. Like, when they say the seas will rise X meters by 2100, it’s not like we’ll go to bed dry and wake up deluged. Climate change is already happening, and happening quickly. That’s the point of this Inverse article about the record rate of arctic ice disappearance. The ice disappears because the planet is getting warmer, and disappearing ice means less solar reflection, which means more heat trapped on the planet. It’s a self-reinforcing cycle, which is why long-term projections might actually be optimistic. Another stark reminder of that is Noah Sneider’s Letter from Siberia, in this month’s Harper’s. Titled “Cursed Fields”, it is about an anthrax outbreak that slaughtered reindeer in the Yamal Peninsula in Siberia, where reindeer are the primary economic driver for the Nenet people. While there are some who think the anthrax (or some other poison) was spread by Gazprom to drive away the locals in order to access the sweet sweet oil and gas of the peninsula, the probable truth is even more terrifying. Global warming is melting the permafrost (as seen in vast sinkholes and methane explosions, another self-reinforcing cycles), and unleashing microbes dormant from earlier outbreaks. And maybe even earlier diseases to which we aren’t immune. It’s a gripping piece, and a great look at a life in a vast and difficult land, an old way of life uprooted, for ill and for good, by oil and gas in the last century. Sneider also points out that Russia stands to benefit enormously from the treasures unlocked by a melting permafrost, which go hand-in-hand with the diseases pouring forth. Happy Easter and Passover to everyone celebrating. Easter isn’t my favorite holiday, per se, but it might be my favorite one to celebrate. We go to my Aunt Marilyn’s house, as we have every year since I was born. She, and my Uncle Leo while he was alive, lived in the same house for that entire time, raised a family, had us over every year. It is in Wheeling, which is now a booming suburb, but when they moved there was past the outskirts of Chicagoland. Even when we were going there when I was growing up, there was farmland all around their little pocket of houses. It struck me as odd and exotic then, and I felt a powerful nostalgia for it that I couldn’t place, even while it was still there. Maybe it was just being there once a year, every spring, in dewy and never-quite-warm days, but I always felt an intense and unspeakable loss for the day even while I was there, even while I was a kid. And every year the farmlands got smaller, subdivisions were built, and now those subdivisions are old, showing their age, part of the landscape. The slow flattening of America caught up to it, homogenized. But I still see parts of the openness I remember, in carved out fields filled with power lines, in old drainage ponds that used to be for irrigation, in cul-de-sacs that seemed designed for Spielbergian heroes in that 80s borderland of sameness and weirdness, of suburbia and the still-wild rural areas in which monsters lurked. That’s gone now. It was fleeting even while it existed. But you know what they say: you can’t stop progress. But, on the plus side, I can always say “I remember when this was all farmland”, and feel good and properly old. This entry was posted in Chicago, Environment, Foreign Affairs, Good Reads, sports!, water and tagged guns, inequality, quick hits. Bookmark the permalink.